In Auvergne-Rhône Alpes, the economic and energy transition of companies and regions is both a necessity and a real opportunity in terms of employment and resources, economic development, regional planning and sustainable development. In this context, the circular economy opens the way to a more respectful model of people and resources. It invites us to build sustainable, local cooperation between all people working in the area. The many initiatives already begun at regional level by companies, local authorities and associations bear witness to this. 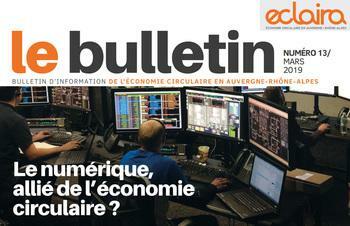 On the basis of this observation, ECLAIRA, the circular economy network in Auvergne-Rhône-Alpes was born. 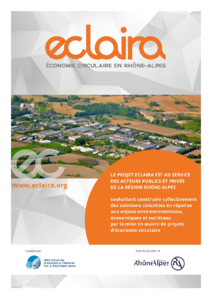 ECLAIRA is run by CIRIDD with support from the Auvergne-Rhône-Alpes Region. It is open to all public and private stakeholders and operates collaboratively. Its main objectives are to identify initiatives, generate projects and thereby promote implementation of the circular economy in the area by all those involved. The circular economy is based on many levers including eco-innovation, initiatives based around the 4Rs (reduction, reuse, refurbishment and recycling), environmental responsibility, eco-design, and cooperation models such as regional industrial ecology and the functional service economy. Who is ECLAIRA aimed at? Experts: technical centres and resource centres, energy and environmental agencies, universities, colleges and special skills centres. Why should I sign up to the ECLAIRA platform? You can get feedback and highlight your achievements. Setting up a knowledge ecosystem on the theme of the circular economy helps bring people together at local, regional and international levels. To preserve the specific features of each project, the platforms that will be progressively put on line will strive to be as close as possible to those involved and to the projects, while incorporating a perfectly complementary network. 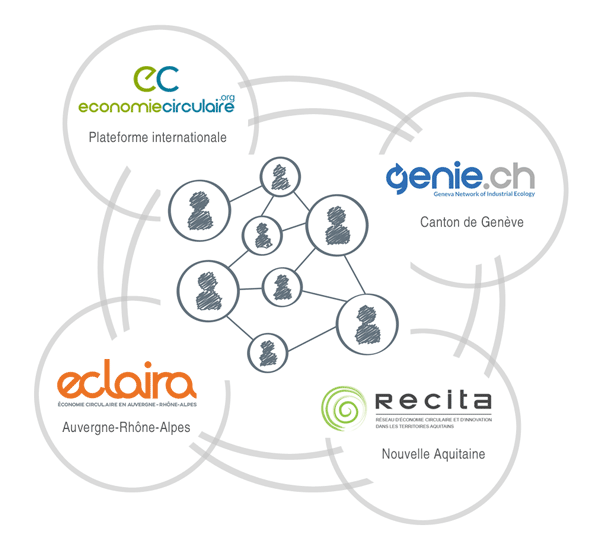 ECLAIRA.ORG is joining an international networkdevoted to the circular economy through a partnership with the international platform economiecirculaire.org, RECITA.org in Nouvelle Aquitaine, the collaborative platform, genie.ch in the Canton of Geneva, and other upcoming platforms.